"Write your name on your shirt. You won’t believe how many people will cheer for you." Excellent advice that two of my good friends + training partners gave to me on the eve of running my first Boston Marathon in 2006. They were more than right, thousands and thousands of Bostonians shouted my name for well over four hours. Until yesterday, I thought the marathons I’ve run were all about me overcoming myself – but never understood that a marathon is really about crowds of people and their never-cease-to-amaze instinct to help each other when they need it. And that’s why the Boston Marathon might just be the best example of what Boston is really all about. I’m a native Philadelphian who has called the Boston area home since 1994. I work on Boylston Street – a couple blocks from the Marathon finish line – and live with my New England-born wife + daughters in a small town outside of the city. My travels for work have taken me all over the world and introduced me to many different cultures and people, but every time I return home to Boston, I’m reminded of how unique + special the people here are. Because I’ve only been here for 19 years, I don’t feel like I can say “we” yet – this IS New England after all, so that will take a couple more generations – but anyone who has spent time in New England knows that the people can be a bit tough on the outside. When you’re new to the neighborhood, people don’t introduce themselves for a long time. Change is slow. But what I’ve found is that once you crack that hard outer shell, they’re incredibly kind, loyal, honest and giving on the inside. After all, our country started here – and Patriots’ Day / Marathon Monday is an annual commemoration of it. The Boston Marathon is the day that Boston invites people from all over the world into their home. When the crowd of Bostonians reaches out to help you and tell you that you’re capable of doing something you might not believe you can do. It’s a day when the true inner core of Bostonians comes out and makes the world feel welcome. Especially the individual runners. 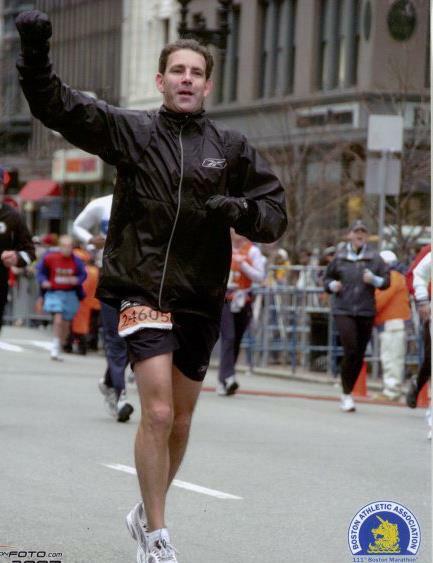 One of the greatest life experiences I’ve ever had was running the Boston Marathon. The whole event – crowds reaching out with support, shouting your name, giving you food + drink, high-fiving you – is a giant, 26-mile festival of encouragement. And then you make the left turn onto Boylston St and enter a canyon of noise. One of the coolest things ever. Since I’ve basically always sucked at sports, even though I’ve played them my whole life, it’s the closest I’ll ever come to athletic glory. A large part of the experience was the knowledge I conquered myself to get through the training and finish; but an even bigger part was the experience of being helped + encouraged by hundreds of thousands of people. Strangers. It was also the first time that I saw masses of New Englanders come out of their hard outer shell and welcome me in a way I had never felt before. There’s no hate in a marathon crowd. Its the complete opposite – nothing but encouragement and support from a crowd of strangers. But what we’ve seen yesterday in Boston and continue to hear stories of today are the triumph of the crowd helping people – stories of heroes running into danger to help; stories of Bostonians opening their homes to stranded runners from out of town, state and even country; stories of the rest of the country and world reaching out with support. I’m proud to call myself a runner and even a marathoner. But after yesterday, I’m more proud to live + work in Boston and be another face in the amazing, unique and extraordinary crowd of Bostonians. 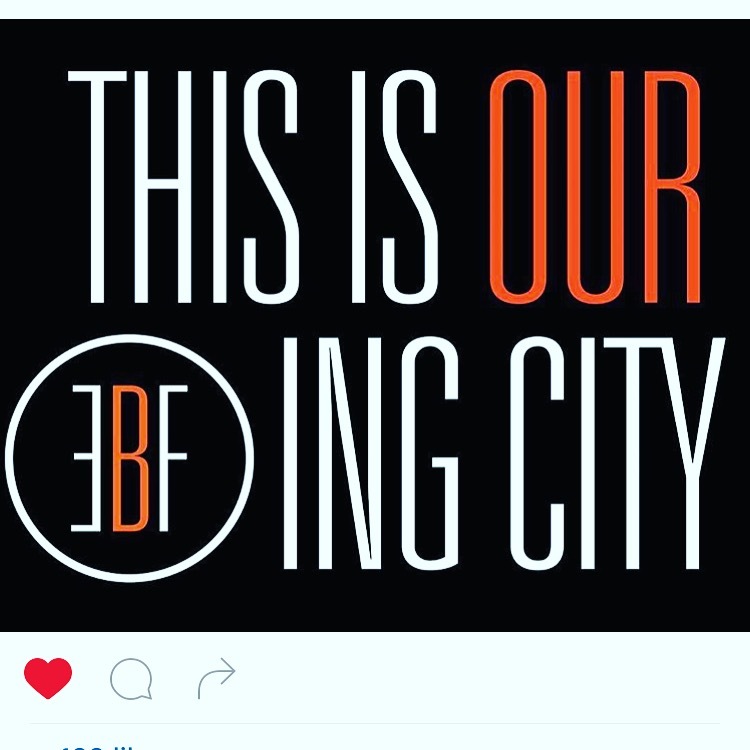 We all run Boston. I have three times. And even when I'm not running, I always will be #BostonStrong. (As will Bono).